Offering this combination package deal, including the new old stock ratchet screwdriver, and the used No. 41 Bell System all metal push drill from the 1930's. The push drill is marked "YANKEE NO. 41 NORTH BROS. MFG. CO. PHILA. PA. U.S.A." on the main shaft. 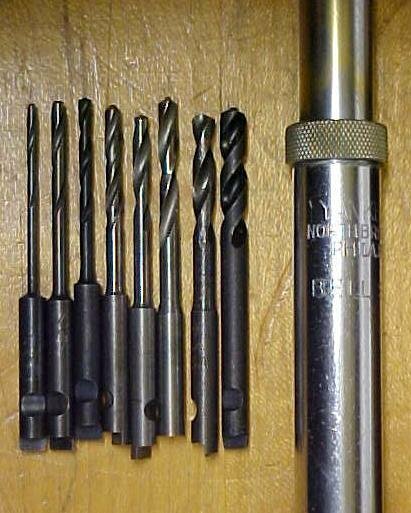 The 8 spiral drill points that come with this push drill are also used, but in very good to new condition, most are new, a the sizes range from 1/16" diameter to 11/64" diameter. There is a sectional storage compartment inside the handle for drill point storage, and this tool is all metal, very well constructed. The nickel plating is about 90% intact overall, no damage, some minor wear, looks nice overalll. 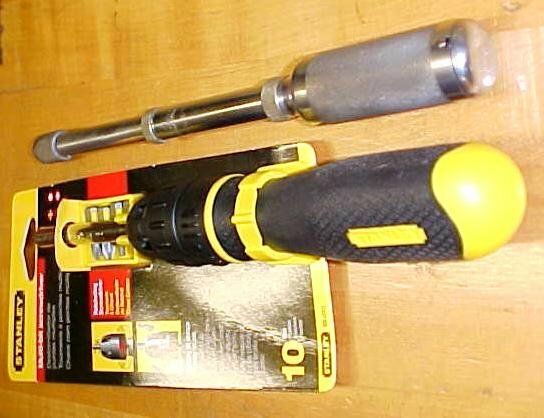 Also included, you get the Stanley 10" long, multi-bit ratchet screwdriver, 68-010 with the ergonomic rubberized metal handle, (metal w/plastic end cap and rotary switch and storage) and also has storage for up to 6 of your favorite bits in the front section of the handle. A total of 10 bits comes with this package deal to fit this screwdriver. You get various sized Phillips, slotted, square drive, and star drive bits, making this a super versatile tool package for so many of the around the house or shop projects! The screwdriver is super well made, the best grip of any of the screwdrivers that I own, and has become my personal favorite for most small projects! The ratchet feature is controlled by a rotary switch in the center of the handle, for clockwise, lock and counterclockwise positions. The handle has flats on it, so it doesn't roll off the work bench, like many of my old screwdrivers do, and that rubberized grip is the best grip I have on any tool like it. What is really nice about both of these tools it that you can put them in your work pouch and since they have tool bit storage, you don't have to get back down off the ladder to get the bit you need to install or remove that accessory. The screwdriver also has a wall bracket to hold the screwdriver and 4 of the included bits. We know you will be pleased with your purchase of these quality made tools, and we have little doubt that you will pass them along to your children and friends. Makes a very nice gift and any handyman! 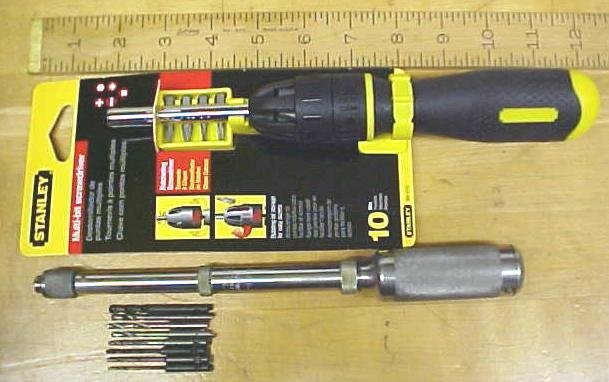 The price is for one uesd push drill w/8 drill bits, and one ratchet screwdriver as described above, and as shown in the pictures. Items Similar To "North Bros. Yankee Push Drill w/8 Bits Bell System & Bonus"